The earliest reference we have to an optical entertainment device in Tibet is from around 1775. George Bogle, the envoy of the East India Company sent to Tibet by Warren Hastings, mentions that among the curiosities belonging the 3rd Panchen Lama was “… most surprisingly of all, a camera obscura or peep-show with scenes of London.” The sage Jigme Lingpa in his Discourses on India written in 1789, discusses the British, the Ottoman and the Moghul empires, and specifically describes England and its various manufactured exports: telescopes and modern weapons etc.. He describes in some detail contemporary novelties as a barrel-organ. But then he also mentions that “On top of this box “within a raised glass door the foreign countries are revealed, the images of these countries being laid down and made clear upon a mirror inside, and so by magical means the details of the great countries are beautifully drawn; and the design of the countries of the world which are executed upon various little panels appear enormous inside the glass door.” I am not certain if Jigme Lingpa was describing a zograscope, a peep-show or an optical viewing box of another kind. Tibetans first called the cinema beskop, from “bioscope” one of the early terms for movies (as kinema, vitascope, etc.) and now apparently used only by South Africans, Nepalese and Tibetans. These days Tibetans (both in Tibet and in exile) use the term lok-nyen, a direct translation of the Chinese dian-ying (electric shadow). Tibetans just used the loanword “beskop” for the cinema, as I mentioned earlier, and there is no other descriptive term for it hinting at anything supernatural or magical. Incidentally, the early Chinese term for movies was shen-ying (magic shadow), or “Shadow Magic” as the Chinese director Ann Hu has titled her interesting feature film (of 2000) that depicts the introduction of the movies to China at the beginning of the 20th Century. The first commercial cinema hall in Lhasa was established by two Ladakhi Muslims, the Radhus, whom the Tibetans called the “Tsakhur” brothers, after the name of their house in the city. Muhammad Ashgar and Sirajuddin got their start in the movie business by projecting picture slides on a cloth screen using a bicycle “magneto” which they worked by pedalling. 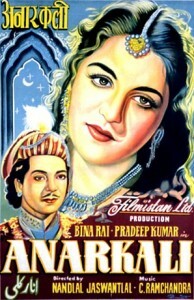 According to Abdul Wahid, who had married the Radhu’s daughter “The profits from this allowed them to import a real cinema projector from India which they proposed to use in Lhasa.” Official permission to open the cinema came from the high official, Kuchar Kunphel-la, for whom the Radhu brothers first arranged a special film show. If we accept Wahid’s account, then the first cinema hall in Lhasa was established before 1934 – prior to Kunphel-la’s fall from power. But this is not certain. 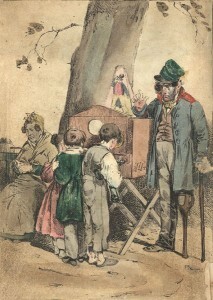 Their oldest Radhu brother Khwaja Abdul Aziz regarded the enterprise with unease as he was not too certain whether the profits earned from exhibiting animated images were legal from the point of Islamic law. But in his in his memoir, Tibetan Caravans, Abdul Wahid writes that the cinema “would bring them considerable revenue”. The late Ngawang Dhakpa la from the Chithiling neighbourhood of Lhasa, told me that he saw Tarzan and Jungle Jim films in this theater. 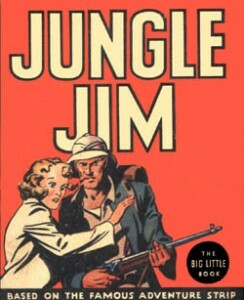 He recalled one Jungle Jim film, where about half the side of the projected image was blurred. It appears that when the films were being transported across the Kyichu by coracle, the boat capsized and some film containers fell into the river. Though they were recovered the films were partially damaged. Lowell Thomas Jr. also mentions that Tarzan and Marx Brothers films were popular in Lhasa. The Diki Wolnang or the Happy Light movie theatre was built in 1958, and was the joint venture of the monk official Liushar Thupten Tharpa and the Muslim businessman Ramzan. The building was a concrete and steel structure and could hold a thousand people, according to the journalist Noel Barber. It was located west of the Jokhang towards the Yuthog bridge. To alert the Lhasa public to their shows the cinema management would play 78rpm records of Hindi songs over loudspeakers, about a hour before each screening and could be heard for a considerable distance throughout the city. This annoying practice carried over into exile where the Tibetan Drama Party (now TIPA) would aim blaring loudspeakers at the town of McLeod Ganj. During the ’59 Uprising, the Happy Light cinema was held by Chinese troops. 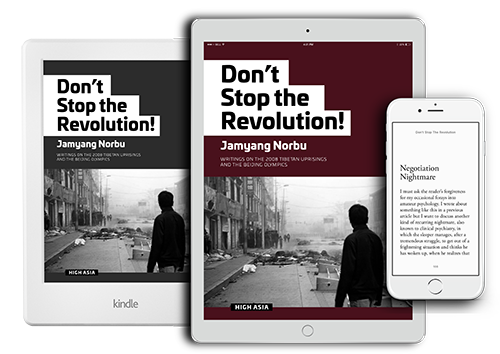 According to Noel Barber who wrote a book on the conflict (From the Land of Lost Content) Tibetan forces defending the Jokhang bombarded the cinema hall with mortar fire, and then stormed it. One group of Tibetan fighters made their way to the back of the building and climbed up into the projection-room. Then coming out on the balcony they fired down into the main hall where many Chinese soldiers were sleeping. The Chinese occupation force in Lhasa initially screened their propaganda films in the evenings, at the horse-market square of Wontoe Shinga. A large white cotton screen was hung on the back wall of the Trimon house on the east side of the square. My informant told me that some of the houses around the square had step-like raised abutments, where you could sit, if you got there early enough. It could get quite cold in the square in winter, and my informant remembers him and his friends inviting girls in the audience to sit on their laps. The films screened were the usual documentaries and newsreels about tractor plants, dams, farming communes, factory openings, the Korean War, and the life of Joseph Stalin (after his death). The one feature film that all Tibetans seemed to have genuinely enjoyed was Bai Mao Nu (1950) or The White Haired Girl, directed by Wang Bin & Shui Hua. The film tells the story of a courageous peasant girl who hides from a despotic landlord and his henchmen in the mountain wilderness of Hebei, where her hair becomes white from her trials. She is eventually saved by her sweetheart, a Communist soldier in the Eighth Route Army fighting the Japanese. 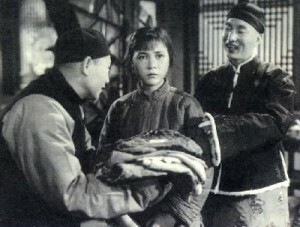 The film was remade as a revolutionary ballet during the Cultural Revolution, under the “artistic” guidance of Madam Mao. The Chinese also screened Indian films produced and directed by Indian Communist and Socialist filmmakers. 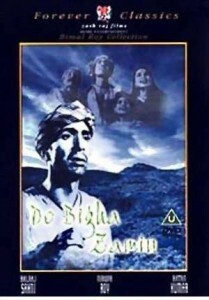 One was Bimal Roy’s award winning (the Prix Internationale at Cannes) portrayal of the suffering of the Indian peasantry, Do Bhiga Zamin (Two Acres of Land). Another very popular Bombay film in Tibet (and also in China and the Soviet Union) was Raj Kapoor’s Awaara (The Tramp or the Wanderer). The story of petty criminal, corrupted by society, but redeemed by the love of Rita, his childhood friend. 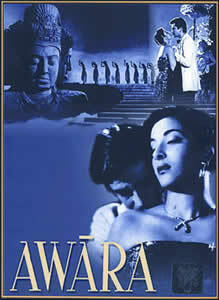 The Chinese language version, Liu Lang Zhe, even had the song “Awara Hun” I am a wanderer, adapted and sung in Chinese. By the mid-fifties the Chinese had built indoor auditoriums at the Chinese Military Headquarters, and the Tibet Autonomous Region complex, where they showed movies and staged cultural performances. 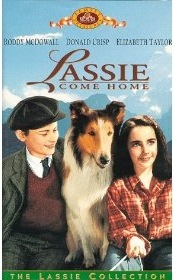 From the mid-fifties the occupation authorities issued a ruling that all films imported into Tibet had to be censored. Perhaps this development contributed to the decision of the Radhu family to close their cinema hall and leave Lhasa for good. Besides the textual sources, most of the information for this piece came from conversations I had (over the years) with the late Nornang Ganden la, Lingtsang Thupten Tsering la, the late Chitiling Ngawang Dhakpa la, the late Gyen Lutsa la, Gyen Norbu Tsering la, Tashi Tsering la (of AMI), Tsering Wangchuk la, Jamyang Dorjee la, my uncle TC Tethong, my late grand uncle Tesur Palden Gyaltsen, my late mother, and many other friends and relatives. I must also thank Sonam Dhargyal la for sending me CD copies of films from Tibet. I must say it is a very interesting read. Thank you JN for taking us on a tour of the cinema history in Tibet. 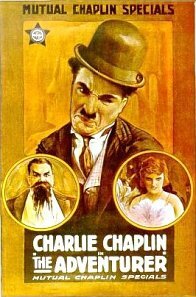 I am sure seeing Tibetans laughing at the slapstick antics of Charlie Chaplin must have broken down so many inhibitions. I have been doing some research on my own and I would like to point out one questionable reference. 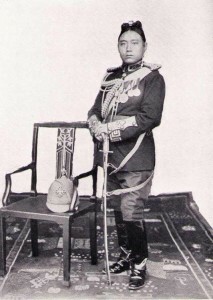 If we are to go by what Frederick S. Chapman wrote during the Gould expedition in his Lhasa diary, it was not Heinrich Harrier who mentioned the letter written to Tsarong by his 16-year old son studying in Darjeeling. It was mentioned by Chapman in the entry made on Nov 27, 1936. Rigzin, thanks for pointing that out. I was in quite a hurry to get this out before Losar. Tashi Delek. What a wonderful history of cinema in Tibet, and a much-valued demystification of Tibetan attitudes toward and acceptance of technology. This column does much to dispel the notion of Tibetans as backwards, isolated from the world, before the 1950 Chinese invasion. Thanks for a very good read. ….wonderful and long overdue. I attempted a similar article for Paste this year. The 3000 words I handed in were whittled down each time an advertisement was sold. By the end, it bore no resemblance to what I sent in, and here’s the result. 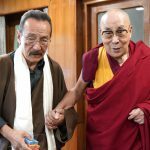 thank you Jamyang for setting the record straight. I just have a quick question for you but couldn’t find an email so had to resort to this. 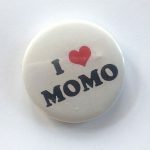 I am a progressive blogger and the owner of the mahablog. Please email me back at barbaraobrien@maacenter.org when you get a chance. Thanks. I have simple question about Tibet. Since I couldn’t find your Email, I am using this comment blog. For my speech in the class, I need basic reasons how Tibet was an independent country before 1959, within time constraints 6 to 8 min. I would like to ask little details about how China’s flag got stars which you said, are the symbols of its occupied countries like Mongolia, Tibet and others. I would also like to seek your knowledge regarding the Tibet issue and suggestions of pro-Tibet’s currency, postal system, tax and Visa issues as are evidences of Tibet had been once independent country. Please response my request as you get your precious time out. My speech has to be outline by Tuesday March 9. Thank you so much. This wonderful material speaks to a human community that is far beyond national boundaries. What splendid ordinariness we all share! Today I can buy a Tibetan mala, book or shirt in my town – see Tibetan directed films and meet monks in Derge wearing Nike shoes! No polluted culture just shared culture – why not!?! Beautiful article on cinematography. Since you mentioned the Novelty Cinema, in Kalimpong with Tibetan ushers, might I add that the Kanchan Cinema Hall was built sometime in the early 1950’s, with the partnership of some Tibetan families. Pomdatshang, and Shagapa with Gajanand Kaluram, had started the Cinema Hall, that also drew in so many Tibetan movie goers, during the hey days of the Tibet Trade. The gatekeepers were mostly vicious Tibetans that controlled the often chaotic and disorderly conduct of the goons, the blackers and the raging public in their efforts to get tickets for popular movies that become house full. Many fights, and blood shedding episodes were common place at both the halls. please help me! 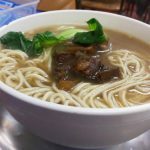 does any one know what is real meaning of the Tibetan word “tam-joe” and how it came into existence in Tibet?